Imagine: your plane finally touches down after a ten hour, cross-continental journey, you wind your way through customs and immigration showing proof you’ve paid the reciprocity fee, and you finally step onto Argentine soil at Ezeiza International Airport. While your initial instinct may be to exchange all of your dollars or euros right then and there, your money will go a lot (and we mean A LOT!) further if you don’t. What currency should I bring to Argentina? When traveling to Argentina, bring cash, especially US dollars. It is most cost effective to bring all the money you think you will spend on your trip in US Dollars cash (if possible mainly 50 & 100 dollar bills, as lower denominations often get a worse exchange rate in Argentina). That might sound a little different to the advice you get in general for traveling, but read this article and you could have a better (or at least, cheaper) trip. In an attempt to inspire confidence in the peso and reduce inflation, the government has almost completely barred Argentine residents (or anyone else) from officially purchasing dollars (this policy has since been relaxed in theory for Argentine residents, though many suggest not really in practice). Since Argentines rely heavily on dollars, a parallel, unofficial dollar market has emerged with a separate rate called the “blue dollar”. To give you an idea of the difference, the official exchange rate at the time of the last edit this article was 8.47 pesos to the dollar, while the blue rate was 12.75 pesos to one dollar. Since the blue dollar rate is significantly higher (a 50%+ difference at the time of the last edit, but at times it has even been close to double), your money will go much further if you trade it wisely. You can compare current rates by checking the official and “blue” dollar and euro rates here (that link is to La Nacion, a Spanish-language newspaper, but even for a non-Spanish speaker it is still fairly easy to see the rates, and they are updated daily)..
How to get the best rate for your dollars in Argentina? Pay for hotels and restaurants in dollars: Hotels and restaurants often accept dollars, and will usually charge at a more favorable rate than the official rate. Many tourists keep some dollars on hand in case restaurants, services, and the like accept foreign currency. Bring along pesos, too, when eating out to avoid being stuck with a bill at a joint where dollars are not accepted. 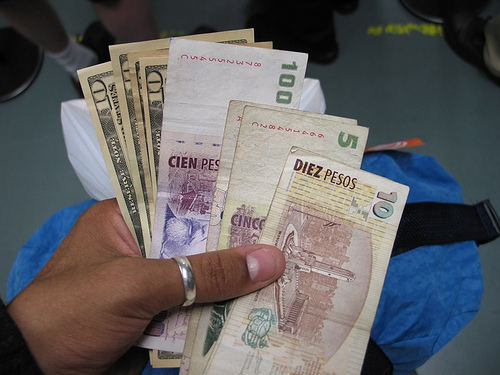 Trade with an Argentine: Since demand for foreign bills is so high, many people choose to trade dollars for pesos with an Argentine they trust, at a favorable rate to both parties. This is not to say that tourists trade with random citizens, but instead with friends or trusted acquaintances (you could ask around, or at your hotel). Visit a cueva: A cueva is basically a local slang term for an underground casa de cambio, or money exchange house. These are often close to streets with heavy foot traffic, like Calle Florida in the City Center. As you walk down Florida, keep your ears open! You will hear lots of guys saying “cambio, cambio, cambio” (cam-bee-oh). This man is a blue-dollar-trader, and takes those interested in selling their currency to an unmarked office where he offers one of the best rates available. However, tourists should be very cautious if they choose this option, and should not be asked to exchange their cash on the street. If you choose to visit a cueva, you might want to ask around for the location of a reliable one, perhaps in your hotel or maybe to your tour guide. Xoom is a money transfer service which allows users to wire money to Argentina from a US bank account and receive the money in pesos at a better rate than the official rate (they offered a rate of 11 pesos to the dollar at time of writing). This is a great option if you find that you need more money once you are in the country and don’t have cash on hand, but want to avoid bank fees and an unfavorable exchange rate. They charge a fee depending on the amount transferred, but overall it is still more advantageous than the official rate. Find out more on the Xoom website. A similar service for residents of some other countries, including the UK, is Azimo. For either service, you don’t want to be in a rush to get the money, as the online sign-up and account authorization process can take a few days. Banks, ATMS, and official money houses are your other options for getting money while in Argentina, and all of these will give you the official exchange rate. You may also be charged high fees every time you use an ATM or pay with a card, so if you choose to go this route, your best bet is to take out a large chunk of pesos and pay for each thing in cash instead of putting it all on your card. But better to avoid the problem entirely and bring enough US Dollars in the first place. Be careful to only exchange or take out the amount of money that you definitely think you will spend, and keep some dollars on hand to use in restaurants and shops. Although there is no official information about whether foreigners may repurchase dollars or euros before leaving the country, anecdotal evidence we have seen suggests that it is not possible. If you do have a receipt from exchanging money at the official rate, hold on to it as you might be able to exchange money back into your currency with a valid receipt at the Banco de la Nacion in Ezeiza Airport. But probably better just to spend whatever pesos you have left on having a great time in Argentina while you’re still here. To read more about getting the best exchange rate in Buenos Aires, check out Gringo in Buenos Aires’s article here. And, make sure you know how to check for fake bills by following this guide on San Telmo Loft. I recently left Argentina with way too many pesos in hand. I am trying to exchange them and got hit with the fact that the official rate is non existent in the USA. I am trying to find the best place to sell pesos so I am not stuck losing money. What can I do? Who is the best buyer? Thanks for your comment. Ouch, that’s unfortunate. As far as I know, the only solution would be to hold on to your pesos until you next return to Argentina to spend them (and hope that they are still worth something then!) – or alternatively look for a friend, family or acquaintance who is going and may want to buy the pesos from you. The only rumour I have heard of people accepting pesos for anything close to the official rate in the USA is in Miami – I believe that because a lot of Argentines live and visit there, some places they frequent do try to accept pesos at a more amenable rate. So if by chance you happen to pass through Miami, that could be something to look into. Beyond that, we’re sorry we can’t help further – our advice is always to only buy enough pesos in Argentina that you will spend, and make sure you spend them all before you go. It is almost impossible to change pesos back into USD at the official rate even in Argentina, yet alone abroad. I would post on Craigslist in hopes someone who is traveling will want to have some pesos as soon as they arrive in Argentina. Good suggestion, thanks TJ! Perhaps someone would want to change with Mark at an agreed rate somewhere between the official and “blue”, as that is probably the fairest way to do this. But as ever, if posting on Craigslist or anywhere online about conducting a cash transaction with an unknown individual, be careful about meeting in a public place you feel safe in. Always best to err on the side of caution. 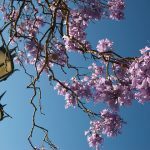 I’ve never been to Los Angeles, but perhaps someone else might read your comment here and have an answer. I lost over $1,500 to the thieves at Chase Bank. With this new exchange company, I can now exchange the rest and break even. I’ll definitely use that Maya Restaurant tip next time I’m in Miami with some pesos, thanks! I would definitely be well acquainted with how the peso notes look and feel as well as know what to look for on/in the note that shows it’s an authentic banknote. 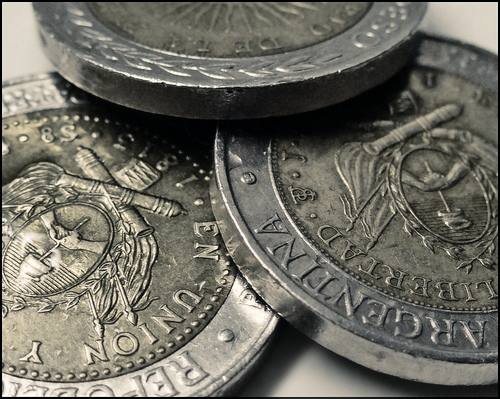 If you have never used pesos then how would you know what is real and what is counterfeit? A friend, who just got back from Buenos Aires, lost $700.00 because he used a cueva to exchange money. The majority of the 100 and 50 peso notes were fake. He was advised by the hotel and the US embassy not to go to the police. He was told that he could possibly be arrested for buying illegal currency. Also, I would not feel very safe walking around Buenos Aires with a wade of 100 and 50 dollar bills. If you are going to travel to 3rd world countries you have to expect to be ripped off by just about everyone. Just my two pesos worth. Adios. Thanks for your comment Sebastian. For anyone concerned about avoiding fake peso bills, there is a link to an article about just that at the very end of our blog post on this page. Did your friend get a recommendation for a cueva from someone he trusts? As we mention in this blog post, that really is important to ensure you are dealing with people who won’t scam you. Most cuevas wouldn’t do anything like what your friend experienced, because they survive on repeat business and word of mouth. A cueva that does what you mention won’t stay in business for long. It is highly unlikely anyone would be arrested for buying “illegal” currency, by the way. Often the police are waiting outside of cuevas to ensure that people can change their money safely. The police are not out to stop anyone from changing money in this manner, so to anyone reading, I would not worry about this – as long as you go to a cueva recommended by someone that you trust (your hotel or tour guide, for example). 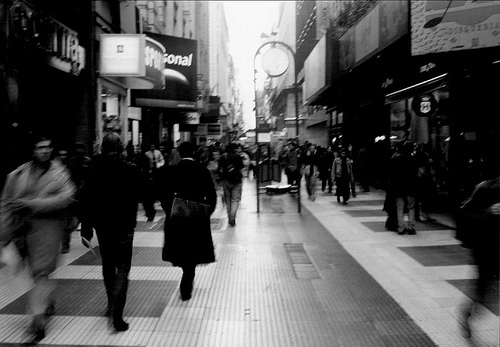 Finally, many people walk around Buenos Aires with wads of bills all the time, to go to and from cuevas, and do so perfectly safely. In fact, I would say that you can do so more safely in BA than in many US or European cities, from experience. To suggest that Argentina is dangerous and call it a “3rd world country” is not only biased/inaccurate, but also would be offensive for many. Something to consider. We would recommend searching online for the companies “Plan South America” and “Tangol”, who offer such tours to other parts of Argentina. I’ll be in Argentina for a month with hotels and car hire. One week BA, one week Cordoba, two weeks Salta. Will hotels in the provinces accept dollars? Are there cuevas in the provinces? Do rent-a-car companies accept cash? Or should I do all my conversions in BA? Hello Bob, thank you for your comment. I’m afraid we only have good knowledge of the dollar blue and cuevas etc in the city of Buenos Aires. I strongly believe you will find cuevas/places to exchange at close to the blue rate in the cities of Cordoba and Salta, but I am unsure about in the rest of the provinces outside of their capital cities. I wouldn’t risk it and would recommend exchanging enough money in advance to last during the time between being in the 3 major cities of Buenos Aires, Cordoba and Salta. Hotels will probably accept dollars cash across Argentina, but I would recommend double checking in each case in advance to make sure, and also what rate they will give (if the prices were quoted in pesos… usually hotels here are priced in dollars anyway). You may not get any special deal with all hotels for paying in USD cash anyway, but it is worth asking and trying. Rent a car companies should accept cash, probably pesos, maybe USD, but you also may have to pay at least an initial booking deposit with a card, and you almost certainly will have to get a large amount of money “authorised” on a credit card to allow you to rent the car. Finally, in terms of changing money, I would recommend doing as much as you can in the city of Buenos Aires, as you will find the most cuevas here, and probably the best rates. 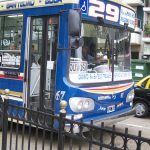 I went to Buenos Aires for extended trips in 2003 & 2005 & found it to be very cheap. I read that since then inflation has been high. But I find from La Nacion (& XE.com) that the exchange rates – official – are more than three times higher than in 2005. Does that offset the inflation? Re the ‘Blue’ rate, in 2005 I approached a ‘Cambio’ man in Florida. Immediately a huge policeman came over & as far as I could tell from my understanding of Spanish he told me not to deal with this man because it was illegal. But he did not arrest the ‘Cambio’ man, who I saw on subsequent trips to Florida. I know that Argentina can get complicated at times, but can you tell me how it is that La Nacion is able to quote the ‘Blue’ rate & ‘Cambio’ men are able to operate freely when the whole thing is supposed to be illegal? Thanks for your question. Buenos Aires has changed quite a bit since 2003 and 2005 (I came to live here in 2005). Inflation has indeed been high since then, and prices have gone up a lot in peso terms. But as you suggest, this is offset a lot by the official exchange rate being about 3 times higher now than then, and the unofficial (blue) exchange rate being about 5 times higher! However, prices are still higher even when working out the cost in USD, but not by a lot. It is still a cheap destination if you bring dollars and change them at the blue rate. 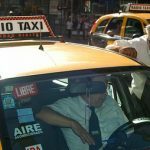 Although changing at the blue rate may be theoretically against the law, things are quite lax in this sense in Argentina. Palms are greased and eyes look the other way. There was some talk of mentioning the blue rate in a newspaper (like La Nacion) being cracked down upon by the government, but it never happened. I would say you should have no worries at all about changing at the blue rate, everybody does it, locals and tourists, it is a normal everyday transaction in practice, whatever the government say about it in theory. That said, all could change soon when Macri becomes president in around 10 days. He says he will get rid of the blue rate, and if so it is likely that the official rate will end up close to the current blue rate. Alan – thanks for your helpful comments. In late 2002 when I researched BsAs I found it easy to find prices & exchange rates & figure out that it was a bargain place to go. This turned out to be true both in 2003 & 2005, & I have many examples of what I thought were incredible bargains – like private lessons in ‘Castellano’, transportation of all sorts incl. ‘luxury (‘con cama’)’ long distance bus rides, family restaurant dinners, local laundry services, etc . Also I had a lot of dental work, physiology, & great massages, for great prices. But after the big devaluation in Jan 2002 I found that businesses that charged prices in US$, like the big hotels, & tourist Tango shows, did not lower their prices. But I remember reading that other S. American travellers, e.g. from Colombia & Chile, never paid hotels in US$ – they demanded & got the Peso price, which was very much lower. Right now I find it difficult to find out prices. Colectivos seem to be still very cheap. Subte prices seem to have become complicated. I can’t find current prices for taxis, remises, restaurants, etc. Accommodations seem to be jacking up their prices in US$, & I see no reason for that. In 2005 I paid US$ 15\day for a nice room in a well serviced house in an ideal location in Belgrano. On the owner’s website I find the same room now costs US$ 60\day – which I think is an outrageous increase. Finding out current prices in Pesos. Understanding why US$ quoted prices are increasing when the local business receives a lot more Pesos with currency fluctuations. If you have time to comment I would appreciate it. BTW – in my Internet searches it looks like Costa Rica is a better place to go (but no Tango). Alan – PS – its Dec 1 & I just read the Buenos Aires Herald (English, online edition) about the current internal gyrations on buying US$ in anticipation of Macri devaluing the Peso to as much as US$1=15 Pesos. (Just as you pointed out earlier). All too complicated for me, so I’ll stay away until the end of December at least until things settle down (if they do), & then get back to comparing prices against the new official, market exchange rates. Meanwhile it looks to me to be another case where the rich will get richer & the poor will get poorer. I do indeed think it is best to check what happens after Macri comes to power. The dust probably won’t clear and settle until early next year, probably the major changes will really start to take effect after everyone gets back from their summer vacations, in January or February, or even later. I have to say I’m no economist, and even if I was, economists struggle to get their heads around the workings of the Argentine economy. Finding out current prices in pesos are difficult online, as prices have been changing so much due to inflation that most website don’t even bother to display a price, knowing that it would need to be constantly updated. The reason some local businesses quote in USD is because this is the only way to hedge against inflation. It is extremely common in the tourism area, as knowing a price in USD also makes things easier for most foreign visitors, even if it does mean they are paying more in some cases. Also, although in general businesses are then receiving more pesos for their USD as time goes by due to the exchange rate trend, sometimes inflation for certain costs has outstripped that, which would explain why sometimes the price is being put up in USD. Or perhaps some places just feel their product or service is worth more than before and that people will pay it. I’m not sure if my comments are helpful, as I say, I am no expert on the economy. And Costa Rica may well be a better place to go in terms of prices, but beyond that I can’t comment. But I do believe, from a lot of experience of living here, elsewhere, and traveling the world, that Buenos Aires is on the whole, a fantastic city to live in. I am glad I read your post before leaving for BsAs! This is very helpful indeed. Feel more prepared and ready now. Alan (or anyone!) – Any update on the current situation with exchanging dollars at the blue rate? I will be arriving in BsAs early next week. I checked La Nación just now and there’s no rate posted (just “$-“). Has Macri already done away with the blue dollar? Thanks for your question, a very important one! Things regarding money changing have been quite up in the air since Macri came into power. It is true that US Dollar restrictions have begun to be lifted in Argentina, which means the old “blue dollar” as such doesn’t exactly exist anymore. However, if you use your credit/debit card somewhere here then you will get a rate of about 13 pesos to the dollar, at the time of writing. The same for changing dollars to pesos “officially” in a bank or authorized exchange house (“casa de cambio”). But changing money in banks is often restricted to local clients only, and authorized exchange houses are no longer widely spread around the city after many years of exchange restrictions. So, you can still go to a “cueva” and exchange dollars to pesos on the unofficial exchange market, just ask at your hotel or a local contact and they will be able to direct you to one, and at the moment you will get around 13.5 to 13.7 pesos to the dollar. So not a lot more, but still a better rate. In conclusion, it is up to you – you could come with the plan of using mainly credit/debit cards to pay for things and withdraw cash from ATMs, and accept that you will get a slightly worse deal (especially when taking any ATM and international fees into account), but do so for the sake of convenience. Or you could bring USD cash and go to a cueva to change, making your money go a little further, but perhaps inconvenient and maybe less safe with carrying all that cash around. Whatever you prefer. I hope that helps and that you enjoy your time in Argentina. Thanks for getting back to me so quickly! I lived in BsAs in 2008 so will definitely check in with friends about a reputable cueva then. My bank/ATM fees are stupidly high so I think withdrawing from the ATM there is my worst option! I’ll probably just travel with USD cash since once I get to my friend’s place I can leave the majority there day to day. Otherwise I’d rethink bringing all I’ll need in cash. Thanks again. ¡Feliz año nuevo! The transaction limit on ATMs I think varies from bank to bank, so I can’t say for sure, but I think it would be between 1000 and 2000 pesos per withdrawal, and how much in total per day would probably be up to your card issuer. The fees for each withdrawal I think are about the equivalent of 5 or 6 USD. In terms of a recommendation of what to do, it depends on your views on cost-effectiveness vs convenience. There isn’t such a big difference in the bottom line these days, but you will still get between about 13.8 and 14 today on the “blue” market for USD, whereas with an ATM you will get around 13, sometimes reportedly lower, and also pay the different fees involved. I hope this helps. Have a great time in BA! As far as using credit cards, what is the story with using them? We are going for a week to BA and don’t want to be soaked for exchange rates but at the same time don’t want to have to walk into back alleys or carry a lot of cash. First of all, sorry for the delay in responding. We are in our peak season showing folks around our city. Most places take credit cards (restaurants, clothing stores, and even some hippie fair stands), but not all of them and sometimes shops will hang a sign on the window indicating that they suspended credit card transactions. It’s a little unpredictable. As long as you keep that in mind, you won’t be surprised and therefore frustrated. They should also operate on the official exchange rate. However, your best bet at getting the best exchange rate is still by bringing cash and exchanging at the cuevas. They are not as seedy as you would think. They are actually some nice ones. Your hotel should be able to point you in the right direction. I’m traveling from New York to Iguazu Falls (AR Side) and Buenos Aires next week Wed and I’m trying to decide how to get the best rate on pesos considering the changes that have happened in the government since Dec. Should I get currency before I arrive? Is it worth it to wait and go to the blue market? Should I just get money from an ATM at the airport when I arrive? XE Exchange is quoted the rate at 1.00 USD = 15.6024 ARS. Any advice would be greatly appreciated. Thank you! As of today, the rate went down and dipped under $15 pesos per dollar. However, to answer the question as to what is the best way to get the most beneficial exchange rate, that would be bringing in cash and exchanging at a cueva. Yes, the government did away with the dual exchange rates (no more blue dollar), but cuevas have always been around and they will continue to be around. They do tend to offer slightly better rates. Now, if you are nervous about carrying cash, you can just use your ATM card to take out pesos. Just keep in mind that you will probably be hit with ATM fees, or foreign bank fees and some of these hover around US$6 per transaction. You could also offset the need for cash by using credit cards whenever you can. They tend to use the official rate as well. we are traveling to argentina in a few days and staying a month or so…what is the latest on the exchange rate?….can i extract us dollars from atms…and if so how prevelent are they in smaller towns like Baraloche? Currently the exchange rate is at around $15 pesos to the dollar. At the local ATM’s you can get pesos converted at the official rate, but you will probably have to contend with fees. Your absolute best bet, is still to bring dollars cash and exchange at the cuevas. The cuevas still exist and they do offer slightly better rates. You will find ATM’s at small towns, especially Bariloche which has a lot of tourism, but they ATM’s don’t expend dollars. First of all this article has been extremely helpful. I’m an events specialist and I suddenly have a client in Argentina. a local bank account? If I do get paid, in the local account should it be in pesos or dollars? And would it be wise to set up an LLC? I plan events, so I won’t have any real estate. Any help will go a long way. Your best bet would be to get paid in the USA if at all possible. The banks here in Argentina are notoriously bureaucratic. Besides, if you chose to be paid in pesos you would also be getting paid in a currency that is not the most stable. While it is true that the new government has its eye on lifting currency controls, that is a process and it’s not done overnight. Yes, this would work with Euros as well. 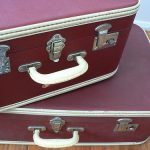 Thanks for an extremely helpful post as heading to BA next week and so glad I read this. Also you are so responsive and detailed to everyone’s questions so great job! Hi – daughter will be on term abroad in Cordoba, arriving BA, also weekend trips and Patagonia total about 4 months. Too much cash to bring – I did set her up with a US checking account where she shouldn’t be charged fees for using debit card unless she dips below $2500. Considering this – I’m thinking she should only bring about $200 dollars to start – is this OK – she’ll have to take a taxi or bus to meet up with her group – I’m understanding she can just go to ATM machine to get peso to pay for that? Any other advice would be helpful! Looks like the only place nearby to exchange money is travelex and the exchange rate is not very good – 1333.15 today. Thanks for your comment and sorry for the delayed reply, we only just saw this. The US checking account where you won’t be charged fees for using ATMs is a great option to have (I have a similar account with TD Bank myself). About US$200 to start is fine, I’m sure. 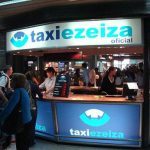 And there isn’t even the need to go to an ATM at the start to pay for a taxi or bus from the airport, as from Ezeiza you can get either a fixed-price taxi with Taxi Ezeiza, or a shuttle bus with Manuel Tienda Leon, and both accept cards for pre-payment at their stands. But of course, you can withdraw pesos at an ATM at the airport, or change USD to pesos at a decent rate at the Banco de la Nacion there, so there is no real need to change money to pesos before travel to Argentina. Feel free to let us know if you have any further questions! Traveling to BA in a couple of weeks. Your site has provided a lot of good info. My question is, are cuevas still in todays market the better option? Or is the exchange rate so close that it’s not worth it. Do you think its worth exchanging $300.00 us dollars to Pesos as a starter here in the US? Thanks for your comment, glad you’ve found our website useful so far. It depends on your priorities, but cuevas are still just – and only just – about the better option. You will get a point or two better exchange rate at them than official exchange houses, and the transaction also takes less time, usually. The rate may be slightly better again compared to exchanging abroad before you arrive here. But of course, the convenience of arriving with some pesos to start off is the most important factor for many. Not essential as you could arrive and pay for Tazi Ezeiza or Manuel Tienda Leon with a card to get into the city, and then go straight to a cueva to change money, if schedules allow. Your comments are quite helpful thank you. Do the Sunday flea market vendors generally accept US dollars? What about ice cream shops and lunch places. Will be in BA for 5 days in Nov. Thanks for your question, we’re glad you’ve found this webpage useful. Most flea market vendors in San Telmo will indeed accept US Dollars, although I can’t say that all of them will. Ice cream shops are most likely to only take pesos or credit cards, although some might take dollars. Lunch places are probably 50/50. Always good to have enough pesos and/or a credit card in case dollars are not accepted. You’ll need pesos for taxis and small stores too, in all cases. Have a great time in Buenos Aires! Thank you for the articles. They have been a great help! My wife and I have been in Argentina for six weeks – the first four in Buenos Aires. We exchanged money at the Banque Piano on San Martin just North of Sarimiento. We bypassed the Cambio promoters on Florida because of the advice on this forum – although the shopping is nice and plentiful. We have exchanged $US four times and everything was done very quickly and securely. For those who are worried about safety..do not. We lived in San Telmo and walked 6 or 7 Km per day throughout the city and were never threatened in any manner. Take normal big city precautions – I grew up in Toronto and BA is probably safer. It is a wonderful place to visit. Fresh pasta makers, fruit and vegetables, great butchers, and fantastic outdoor Grills (Parrillas). So we are going to Mendoza next week. Would wine stores take credit cards or US Dollars? I just hate leaving a country with more FX currency than I need. I just wanted to take the time to thank you for this information. Very helpful and I appreciate the time and effort you have taken to answer people’s questions for the benefit of all.